To have the opportunity to access the online version of Highmage’s Plight click on the links to Writing.com (of the Highmage’s Plight Portal link) below and enter the world of the Highmage’s Plight, where his plight can become yours, too! The first 100 interested buyers of the complete Highmage’s Plight Series, who would like to have access to the evolving online version of Highmage’s Plight, and articles by author D.H. Aire, should send an email with a screen shot of your final confirmation receipt. Email them to dhr2believe at gmail dot com. We will send the first 100 instructions on how to join the beta and access the online versions and more. This promotion will provide a complimentary membership for one year to the Highmage’s Plight – Dhr2believe Group on Writing.com. You will need to have a Free Membership to Writing.com to view the novels in the Highmage’s Plight Series, currently posted and being serialized (all of which are copyrighted by the author) and may not be reprinted without permission in any medium. 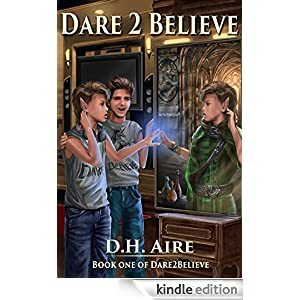 With the resources of Writing.com, Highmage’s Plight – Dhr2believe.net Group members can review, rate, even suggest edits and share thoughts that can lead to changes in the text, even to the book you’ve already read. Just click on the Highmage’s Plight Portal here at dhr2believe or through a search on Writing.com. From the Group page click on the novel and select the chapter(s) you wish to read. In the next phase of this project readers who join the Group as Exclusive Character Members will be able to interact with this online version of the novel and series as the spirit behind specific characters… Until then, membership will be on a promotional basis and renewable annually through purchase of either another version of Highmage’s Plight or one of its yet to be published sequels. Watch for other promotional opportunities and tell your friends!